February 28th, 7 PM Wine Evaluation Seminar @ Lake Marie Clubhouse: 2327 Fallen Leaf Dr, Santa Maria, CA 93455 Wines of Bordeaux. 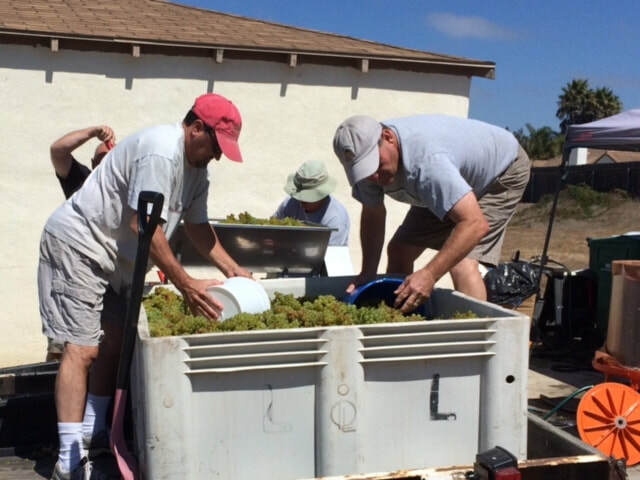 Bring 1 Bottle, Red, White, or Rose for evaluation, bring 4 glasses. March 28th, 7PM Wine Evaluation Seminar @ Lake Marie Clubhouse: Wines of Burgundy, Bring 1 Bottle, Red, White, or Rose for evaluation, bring 4 glasses. April 25th, 7PM Wine Evaluation Seminar @ Lake Marie Clubhouse: Rhone Valley Wines, Bring 1 Bottle, Red, White, or Rose for evaluation, bring 4 glasses. 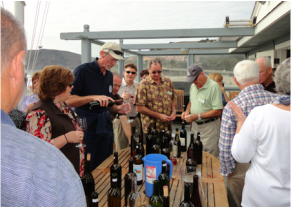 May 30th, 7PM Wine Evaluation Seminar @ Lake Marie Clubhouse: Italian Varietals , Bring 1 Bottle, Red, White, or Rose for evaluation, bring 4 glasses. November 9th Wine and Food Pairing at the Decker’s House. January 25th, 2020 Avila Members Meeting at noon. Once again, CCHVA handled the wine judging for the fair. Our Annual Membership Meeting, held at Avila Yacht Club, is always a sell-out! 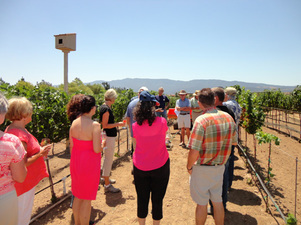 The Home Vineyard Tour was a fantastic success! It was capped off with a lovely meal at one of our member's homes, and of course, some great wine!